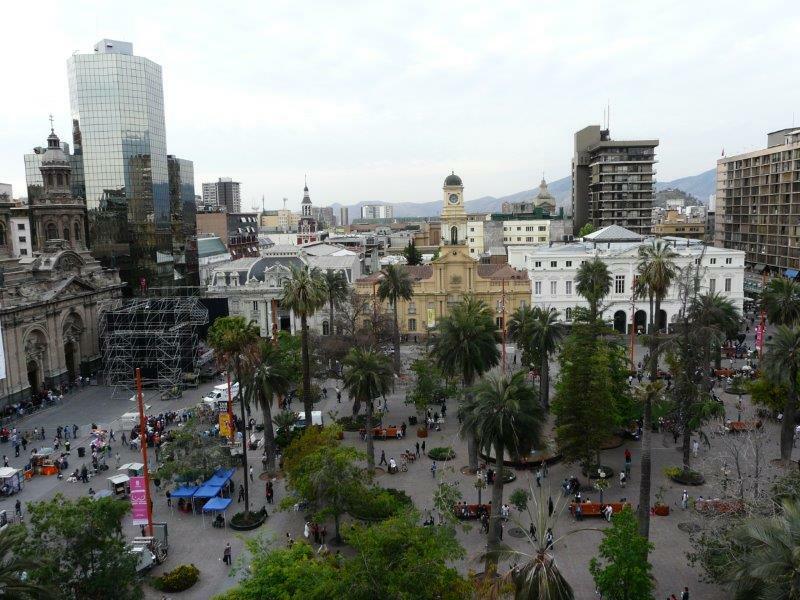 Santiago is the urban nucleus and heart of Chile; the financial, cultural, and political center of the country. 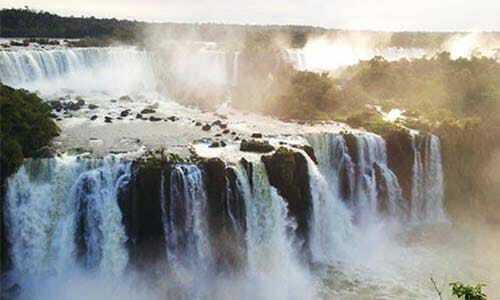 Like any international city, it’s full of attractions, events, culture and nightlife. 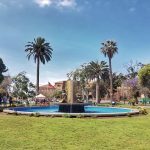 Plaza de Armas: is the main square in downtown Santiago, which dates from the 1540’s when Pedro de Valdivia founded the city. Here you’ll see street artists and plenty of local art for sale. You can also check out the Cathedral of Santiago. La Moneda Palace: this neoclassical building is the Presidential house of Chile. 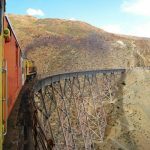 Its high walls are witnesses of the country’s history, including the bombing during the Military Coup in 1973 when former president Salvador Allende died. 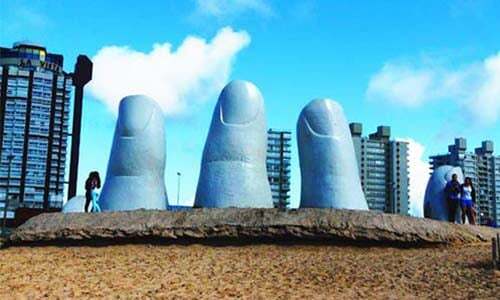 Make sure to visit the courtyard where you will find awesome sculptures by Chilean artists. Be sure to toss a coin into the fountain and make a wish. San Cristóbal Hill: for great views of the city take a ride up in the funicular to the top and visit the statue of the Virgin Mary. The hill also has a Zoo and a Wine Museum. 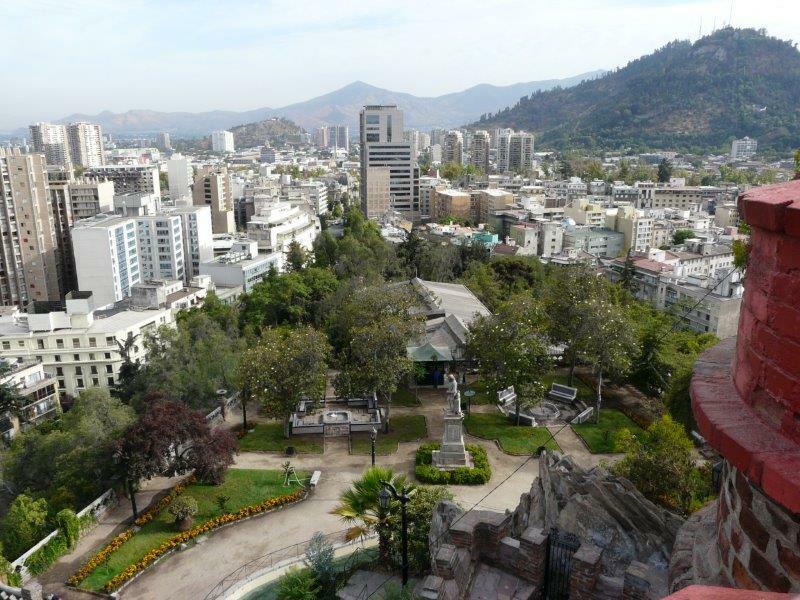 Santa Lucia Hill: right in Santiago Centro, this hill provides another great view of the city and the Andes mountains. There are various statues, lookouts and ponds hidden all over the hill. Don’t miss the mural dedicated to Gabriela Mistral, Chilean Nobel Prize winner. View of Santiago from the Santa Lucía hill. 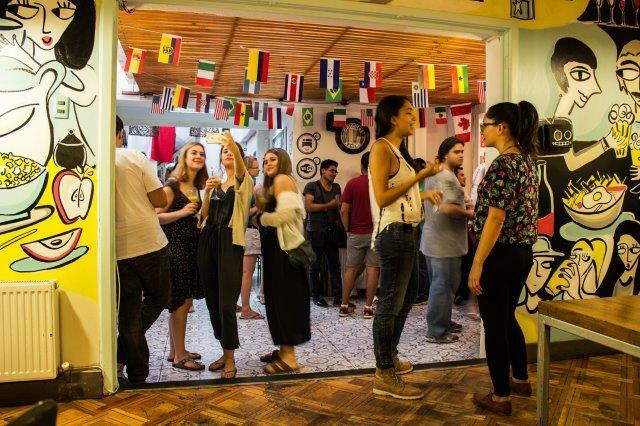 Bellavista, Brasil, Ñuñoa and Lastarria: are the funky, bohemian neighbourhoods of the city and have the best nightlife with great bars, discos and restaurants. Memory and Human Rights Museum: learn about the recent history of Chile at this museum dedicated to the events which took place between 1973 and 1990. Walk around and see the photos, press clips and videos testifying the years of terror and repression of the dictatorship under military rule. Admission free. Museo Bellas Artes and Museo de Arte Contemporáneo: both host some of the best contemporary art works in the country. Admission free on Sundays. 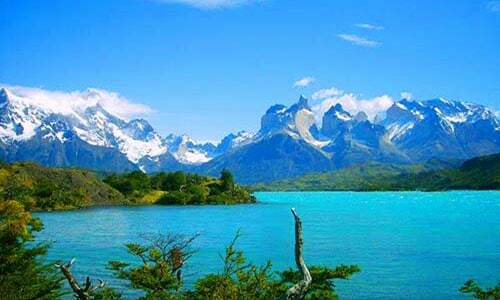 La Chascona: situated in Bellavista, it is one of the 3 homes of Chilean poet Pablo Neruda. The place has an amazing collection of things from all over the world and it also hosts his Nobel Prize. Mercado Central: walk around this lively market and admire the fresh fish and seafood. 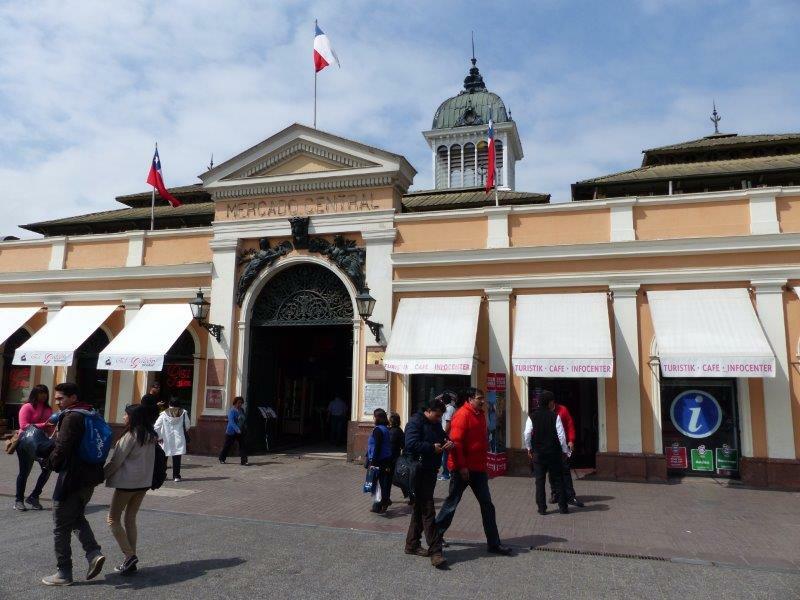 Then have a meal at one of the restaurants and taste exquisite Chilean seafood. From here check out La Vega Central, the biggest fruit market in Chile, just across the river from Mercado Central. Mercado Central, excellent for delicious seafood! 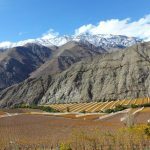 Winery Tours: for wine buffs, two great wineries to visit are Viña Concha y Toro and Viña Cousiño Macul. 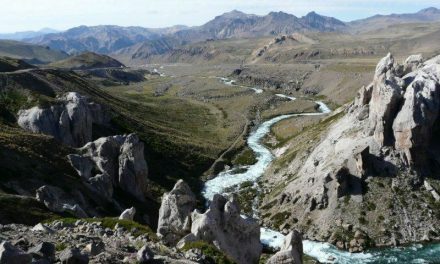 Andes Mountains: the fabulous high Andes are quite close to the city! 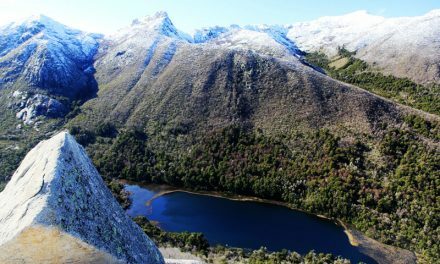 Go trekking or horseback riding, soak up in hot springs or enjoy the powder in winter at one of the high quality ski resorts: Valle Nevado, Farellones or La Parva. 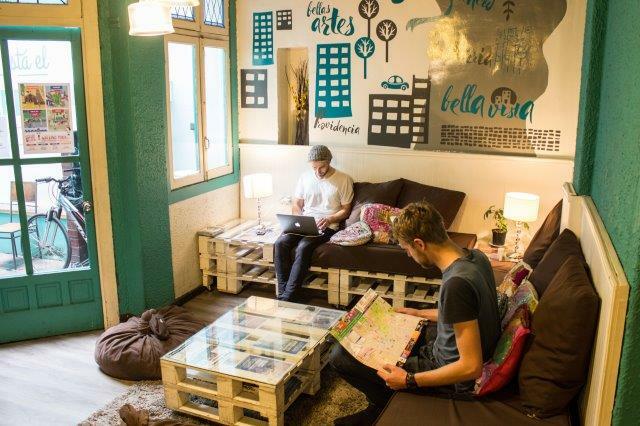 Happy House Hostel is an oasis in the heart of Santiago. 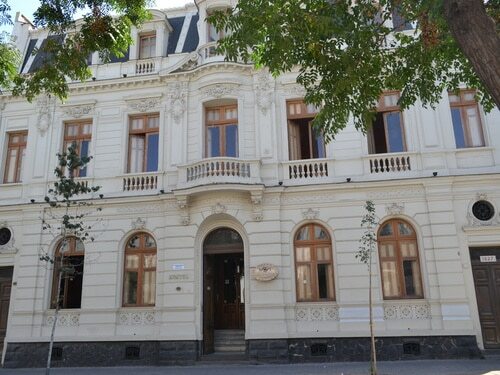 It is a beautiful early 20th century big house, located in Moneda street (Brasil neighborhood) in the middle of the historic part of the city and just steps from the Government Palace, the main square and the main tourist attractions of Santiago. It is also located only two blocks from Los Héroes metro station where the Centropuerto service stops with buses to the airport and other transport links close by. The accommodation is of top standard with beds that allow you to get excellent rest, spacious and modern bathrooms, and big bedrooms each with their own unique style. Lots of different meeting areas give you complete peace and maximum interaction and fun with other guests. You can enjoy yummy barbeques, games of pool, ping pong, mini football, reading, sunbathing on the big terraces, dipping in the swimming pool (at summer time) or hanging out at the pool bar, and wine tastings among other activities. The hostel has free Wi-Fi to keep you connected and there are stationary computers if you don’t have your own, as well as cable TV and laundry service. The staff are the hostel’s main pride and will make you feel like you are at home with your best friends. This is proved on Tripadvisor.com which, thanks to great comments from their guests, they won a Certificate of Excellence 2012, 2013, 2014, 2015 & 2016 – another great pride of theirs. 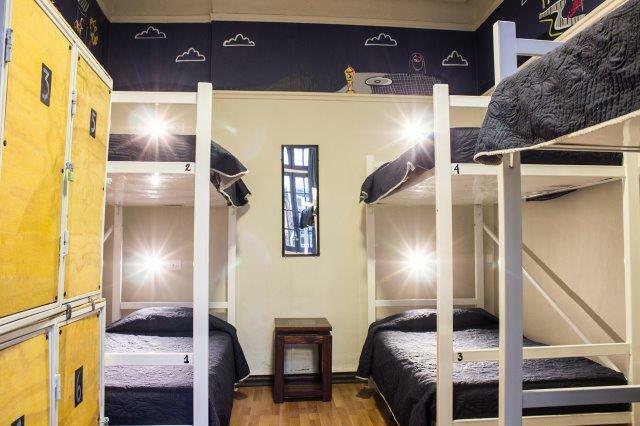 Located in the historical quarter of Santiago right next to the Plaza de Armas Metro Station, this hostel gives you the convenience of being able to walk to the Mercado Central, the Cathedral, the Museo de Historia Nacional, The Government Palace, the Santa Lucía Hill, banks, restaurants, shops, and call centres. 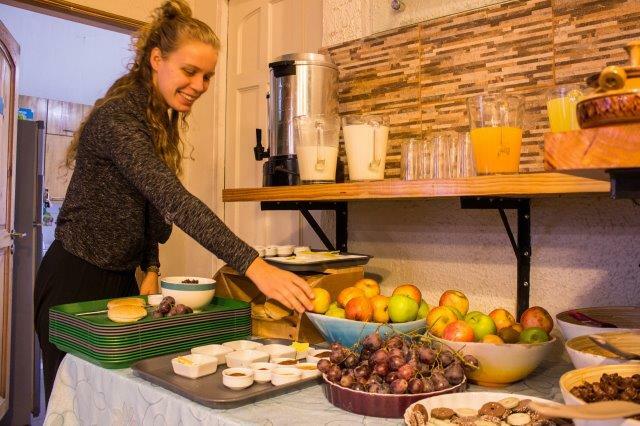 The hostel offers shared and private rooms, including breakfast, Wi-Fi access, a kitchen and terraces with incredible views. 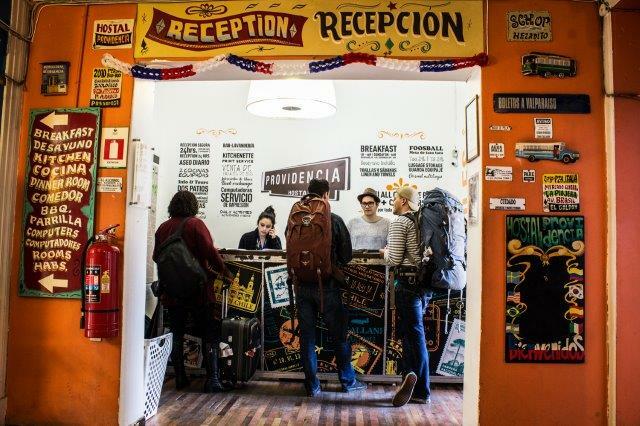 The hostel provides bilingual tourist information and fun weekly activities including “Chilean barbecues”, “choripanes”, Chilean films and documentary cycles plus games and raffles. Great location! 3 blocks from Baquedano metro station and a 10 minute walk from the Bellavista neighborhood, Cerro Santa Lucía, Pablo Neruda’s house, etc. There’s a wide range of dorms & private rooms, with shared or private bathroom. Among the hostel’s facilities & services are 2 kitchens, dining & living room, outdoor patio, BBQ area, a cozy bar, free international calls and laundry service. Multilingual staff! 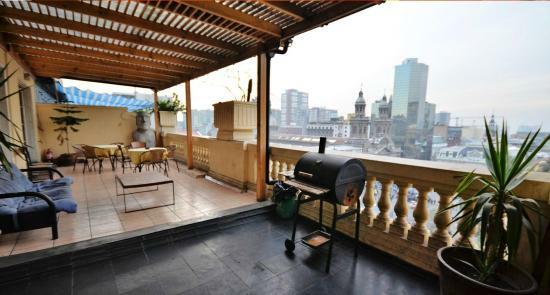 The location in Barrio Lastarria is superb, just steps away from Parque Forestal & the Bellas Artes area. Their weekly activities include BBQs, wine tasting & movie nights and there’s also a TV lounge and a modern kitchen. 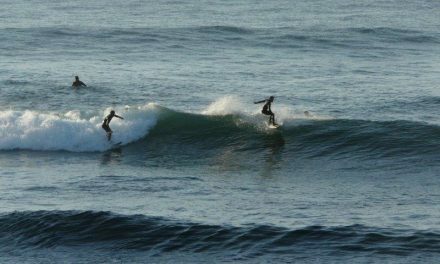 They have comfortable & well priced dorms & private rooms with ensuite or shared bathroom. Breakfast included & free international phone calls! Hostal Casa Condell is an excellent choice for travellers looking for a quiet, smaller accommodation. You’ll love this restored colonial house built in 1913 with its wooden floors and cozy terrace to ‘chillax’. A big advantage is the hostal’s safe location with restaurants, supermarket, parks and plazas at walking distance. 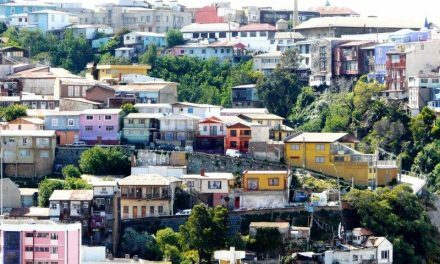 Lively Barrio Bellavista and Barrio Providencia are just a short stroll away and with several bus stops and the metro (Salvador or Baquedano) close by, you will quickly get to all of Santiago’s attractions. 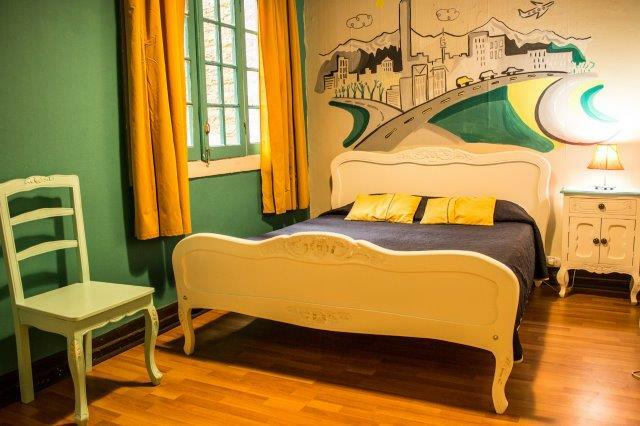 The two single rooms and four double rooms at Hostal Casa Condell are spacious and very comfortable and you’ll only have to share the bathroom with one other room. 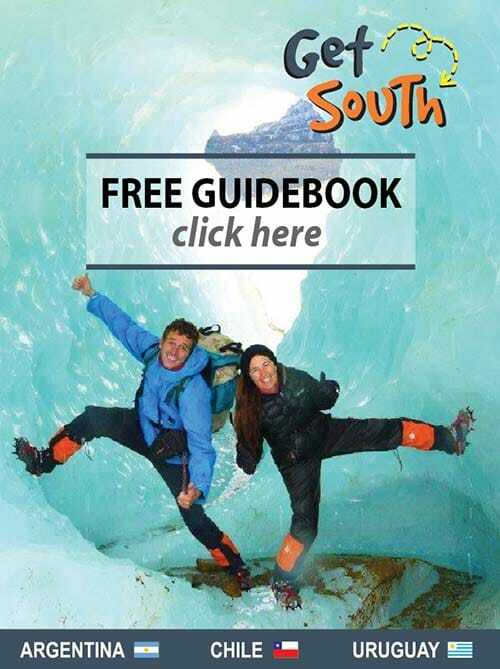 Max and Tatiana speak English and will inform you about all the fun things do in Santiago.